Draft Day 2013: Who Will the Habs Pick First? 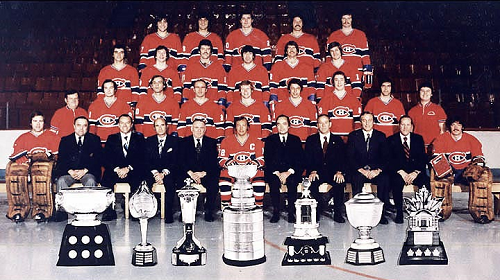 Home/Featured/Draft Day 2013: Who Will the Habs Pick First? The playoffs may have ended Monday, but it’s already time to talk draft, with the big day coming up this weekend. The Montreal Canadiens had the third overall pick last year and that player, Alex Galchenyuk, helped them rise all the way to second in the Eastern Conference. Even though they didn’t get far in the playoffs, they still will be picking near the bottom, taking the 25th player on Sunday. But who will that player be? 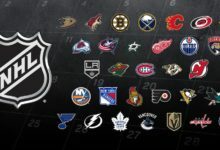 In this article, I’m going to highlight one player from each position that could find himself becoming the newest member of the NHL’s most storied franchise. The Habs love Quebec-born players and when that player is a 50 goal scorer, they like them even more. Mantha has the potential to be the big body Montreal needs in their top-6. 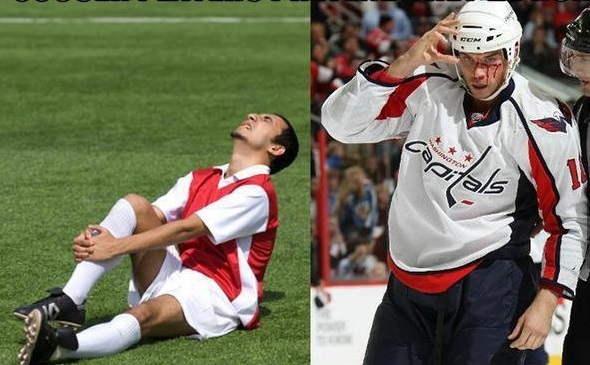 Little Brian Gionta won’t have to be the guy going to the net any more. At 6’3, this power-forward would complement the small forwards on the Habs, especially Galchenyuk and Calder-nominee Brendan Gallagher. This past season, Mantha finished 10th in QMJHL scoring with 89 points, while his 50 goals led the league. But a key stat is his plus/ minus rating. At +21, Mantha has shown he can defend as well as score. His 71 penalty minutes are also evidence of his aggression and determination. Pure and simple, Mantha is a goal scorer. He has a great frame that he uses to fight through traffic, solid puck awareness and offensive positioning, all topped off with a heavy wrister that he can fire off quickly and smoothly. He also skates extremely well, but his consistency on the ice and effort level has come into question. For a player of his size, he needs to keep his feet moving and work hard on both sides of the puck. He won’t make the jump right away, but with a few more years of junior under the belt, Mantha could very well become the power forward Montreal is looking for. Honourable Mentions: Zach Nastasiuk (Owen Sound, OHL), Kirby Rychel (Windsor Spitfires, OHL), Alexander Wennberg (Djurgardens, Sweden). 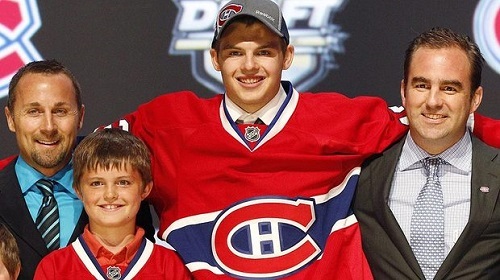 Alex Galchenyuk was the Montreal Canadiens’ first pick last year. Who will be in this picture on Sunday? Like at forward, the Habs’ defence needs a size upgrade and there aren’t many people bigger than Zadorov. At 6’5 and 230 lbs, this Moscow native knows he is big and uses it to his advantage. He hits and hits hard, but also clears the crease with ease. That defence first approach was a big part of the Knight’s first place finish and Memorial Cup birth this year. For a big man, he can also skate very well. And he did see some powerplay time which would explain his six goals and 25 points this season. After only one year in North America, Zadorov seems to have had no problem adjusting to the smaller ice. With a +33 rating and 54 penalty minutes (mostly fights), this Russian is both smart defensively and very physical. The potential that some evaluators see in Zadorov has them projecting the next big physical two-way NHL defender. He shows a nice combination of mobility, strength and puck skills. He skates very well for a player of his size and shows strong footwork, balance and mobility. His strength is his physical game as he is willing to unload a devastating hit, mercilessly eliminate opponents along the boards or drop the gloves and teach an opponent a lesson about manners towards his teammates or himself. Zadorov would be a perfect fit for Montreal, but there are tons of teams looking for defencemen too. But if he is available, Montreal will gladly grab him at 25th. Honourable Mentions: Robert Hagg (MODO, Sweden), Chris Bigras (Owen Sound, OHL), Ian McCoshen (Waterloo, USHL). Goaltending is one position that the Habs probably don’t need to upgrade through the draft, but if they are going to take a goalie in the first round, Comrie is the guy. Ranked second by the Central Scouting, Comrie is a work in progress goalie who is coming off season-ending hip surgery in February. He only has one year as a starter in the WHL under his belt and is very much a work in progress, but could one day make the jump to the NHL. Last year, as the Americans starter, Comrie went 20-14-3 in 37 games. 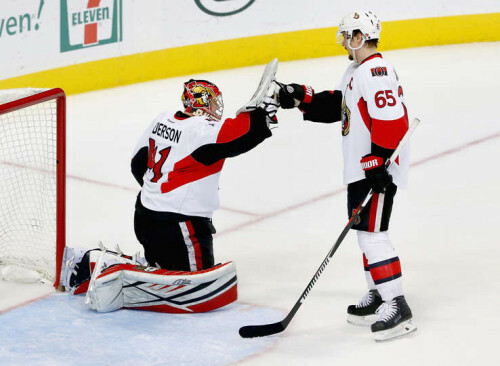 He picked up two shutouts while registering a 2.62 goals against average and .915 save percentage. But it’s the hip surgery that will define when Comrie gets drafted. His strong legs are his biggest asset so until he is 100 per cent healthy, Comrie will have a big question mark next too his name. Comrie plays a very aggressive style and comes out far to cut down angles and take away net from shooters. He has excellent backwards skating which allows him to do this and recover if a forward tries to deke him to the net. Like many young goalies, he does need work on his rebound control and this is the biggest issue in his game today. He does show the ability to recover quickly and square up to rebounds which does help him recover quickly, however the rebound control must also still improve. And one more reason he would be a good fit in Montreal: he’s a Carey Price fan. Honourable Mentions: Zachary Fucale (Halifax Mooseheads, QMJHL), Tristan Jarry (Edmonton Oil Kings, WHL), Juuse Saros (HPK-JR, Finland). 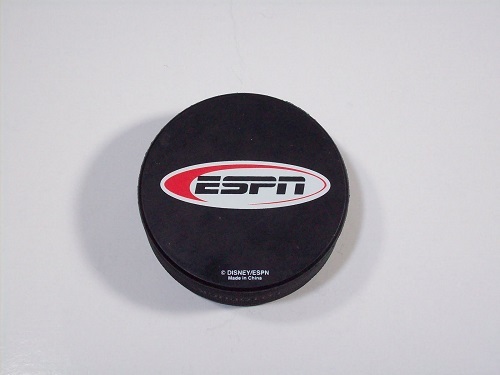 The NHL draft is Sunday, June 30th.